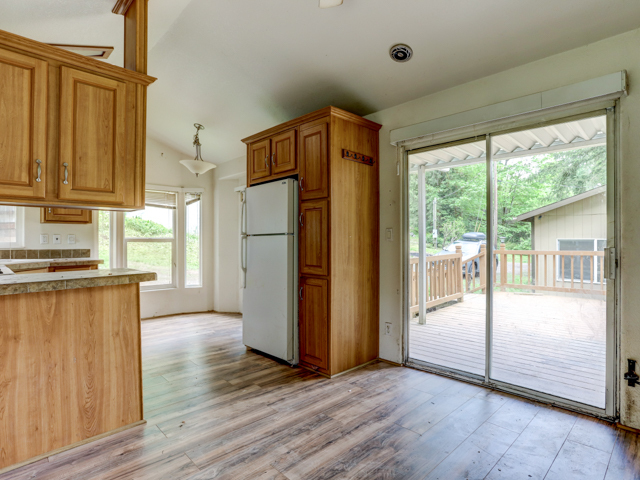 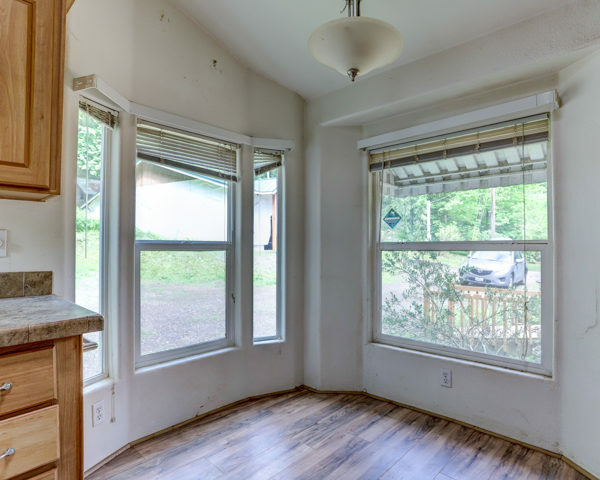 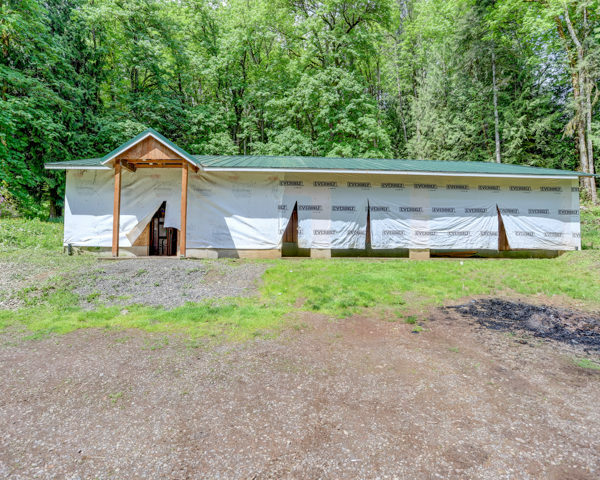 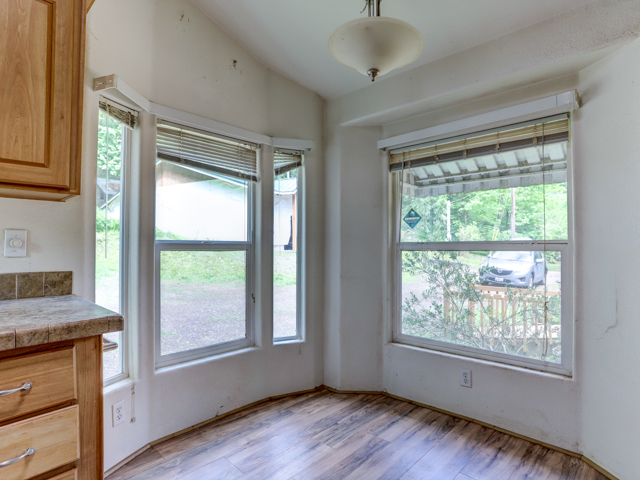 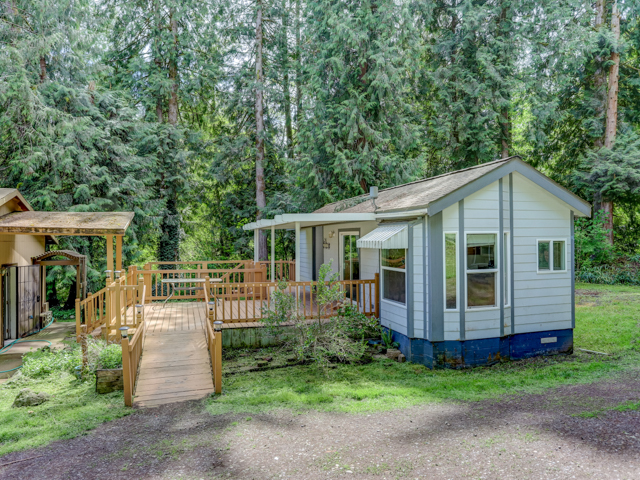 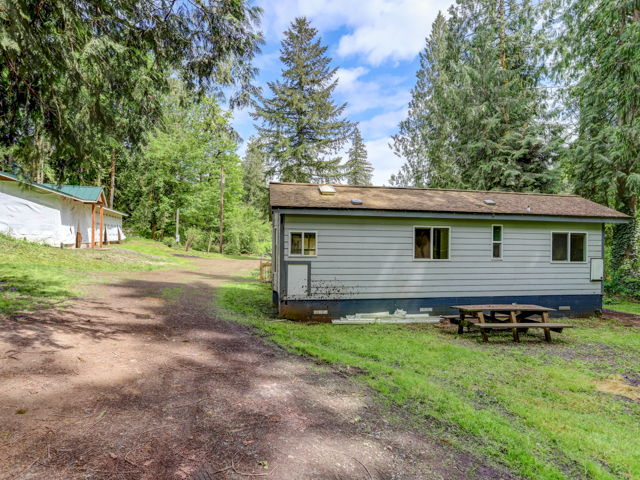 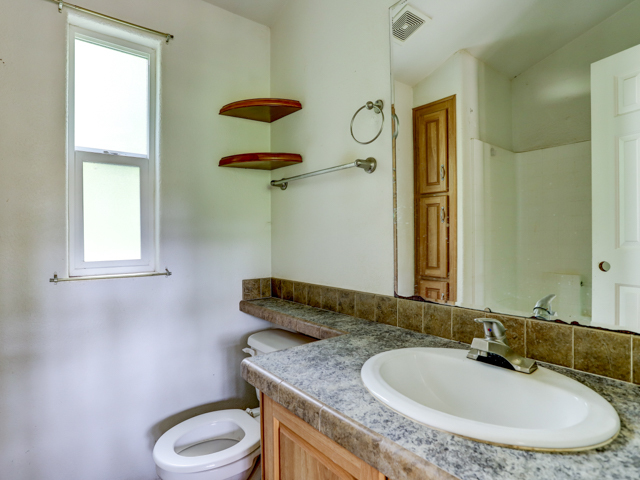 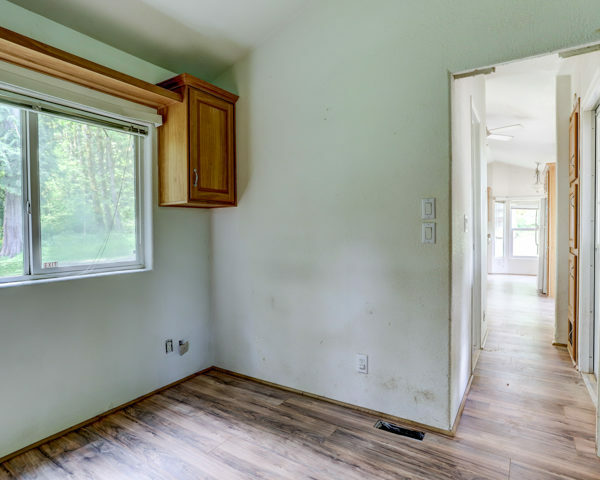 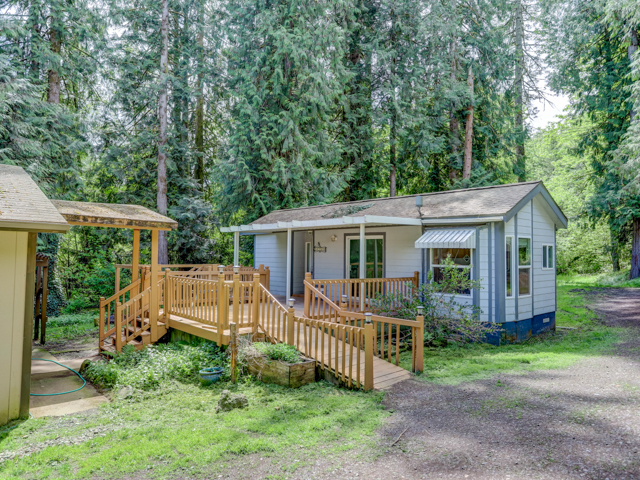 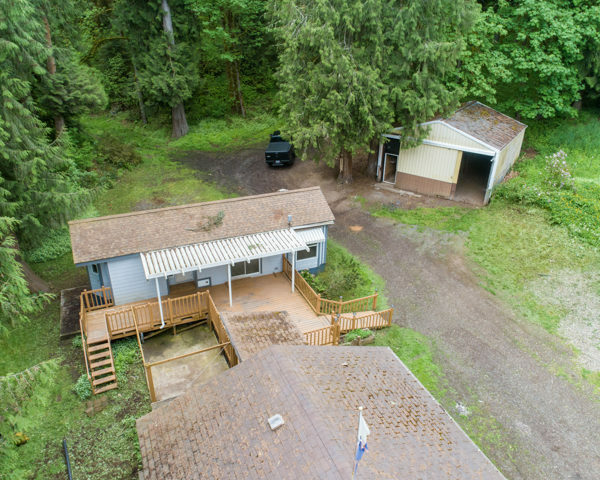 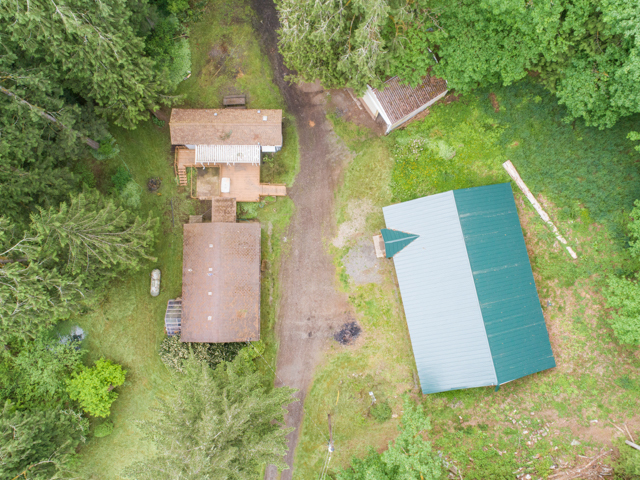 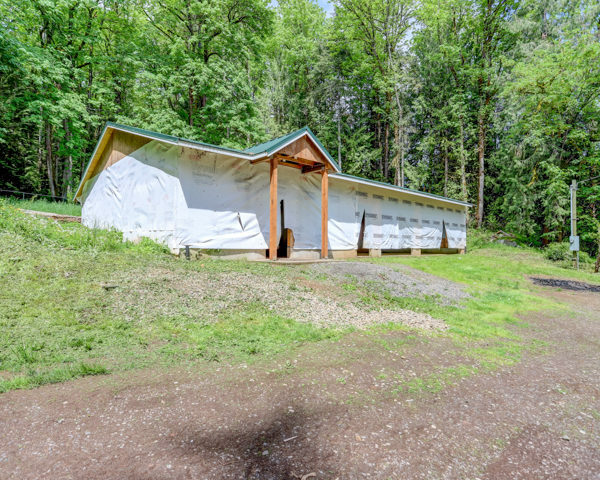 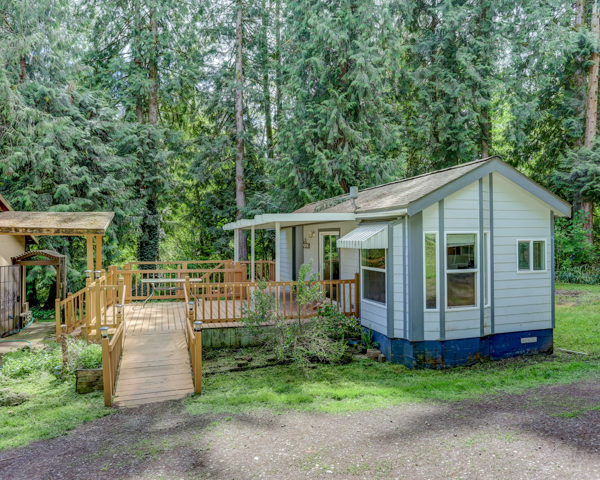 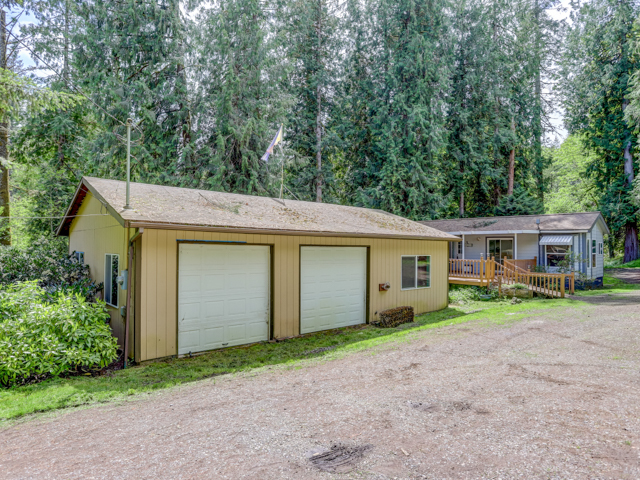 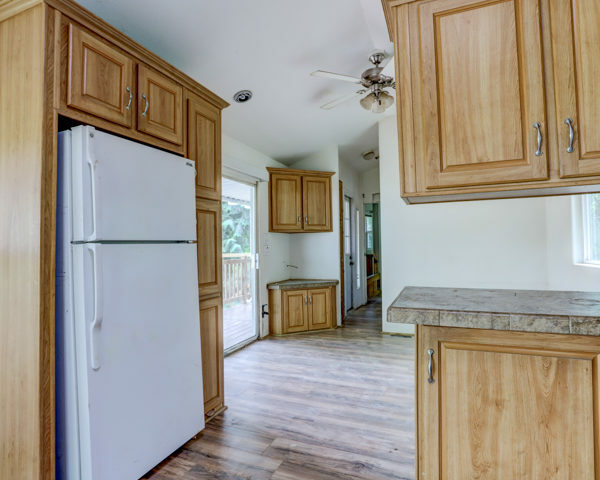 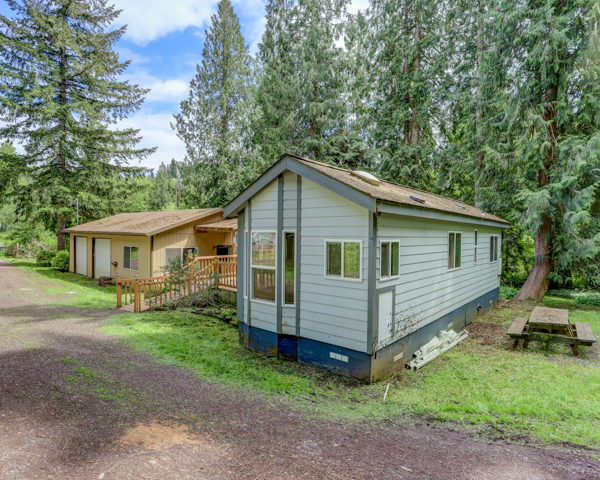 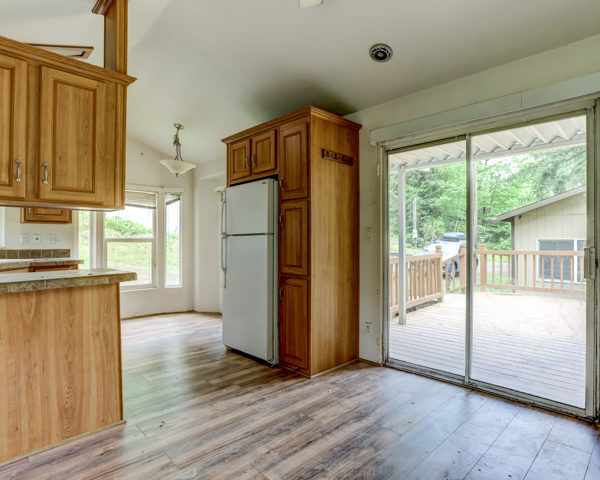 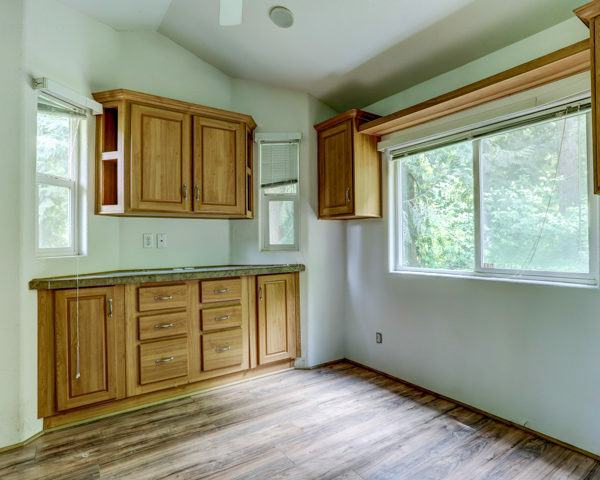 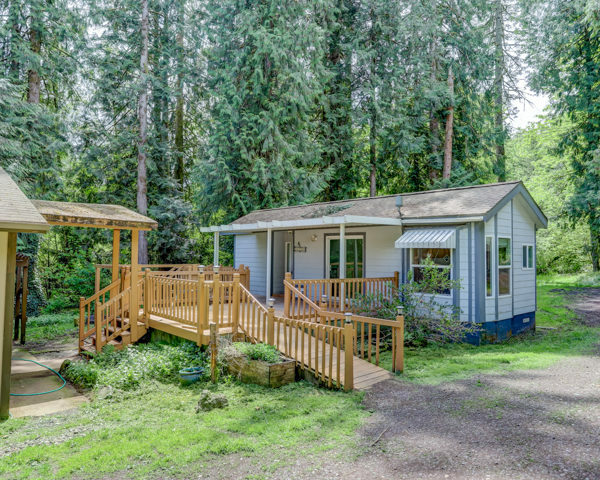 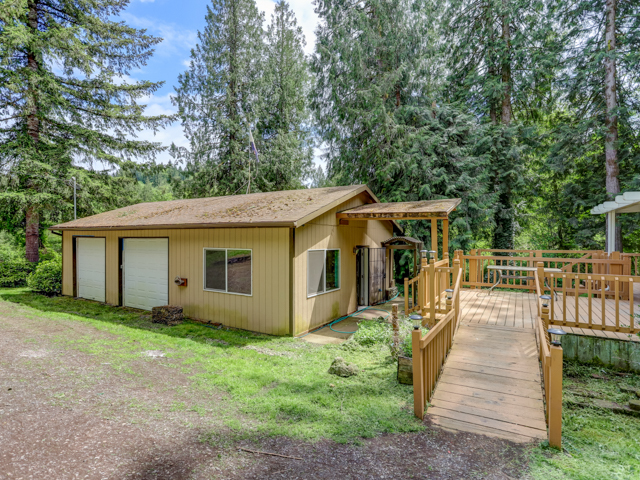 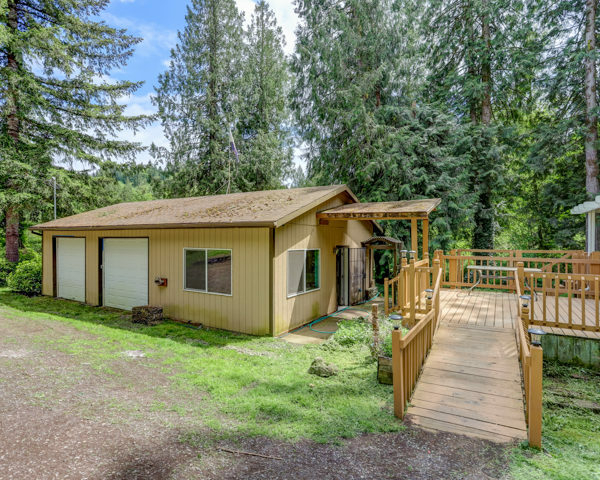 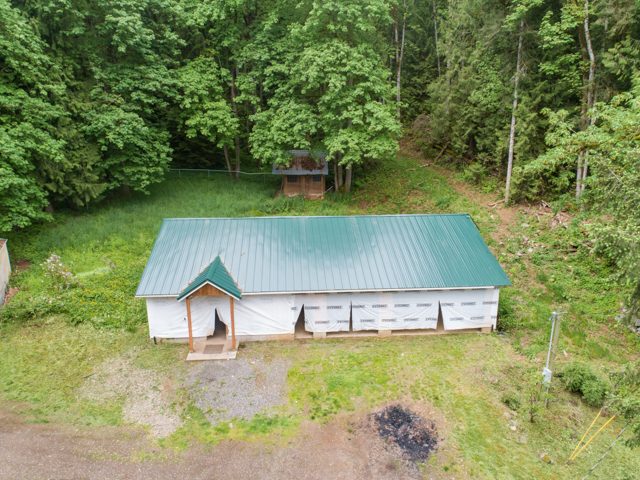 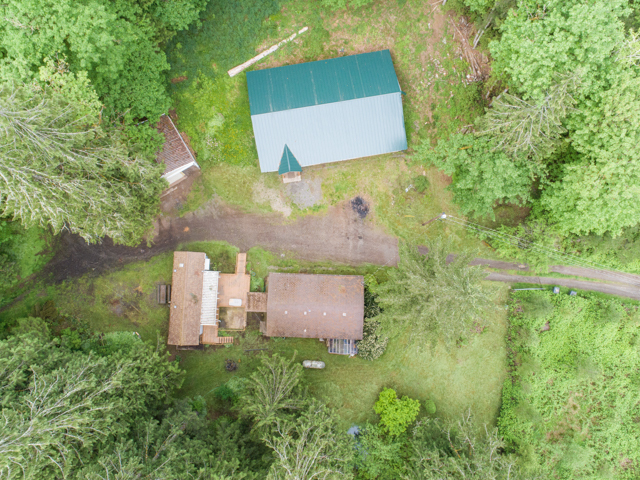 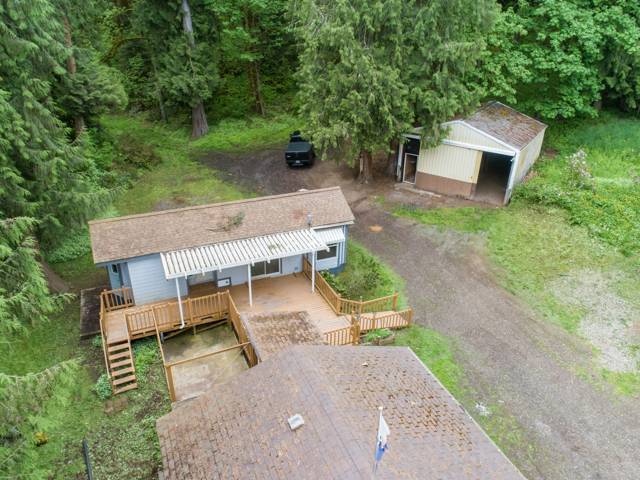 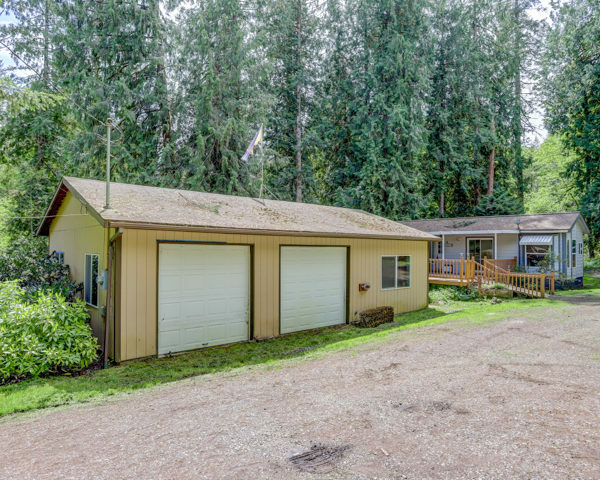 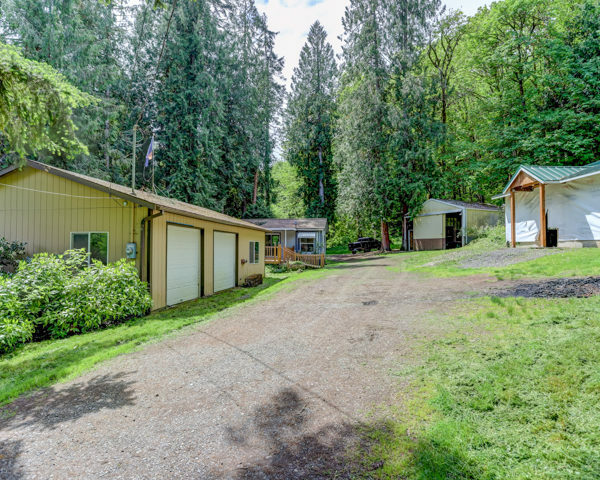 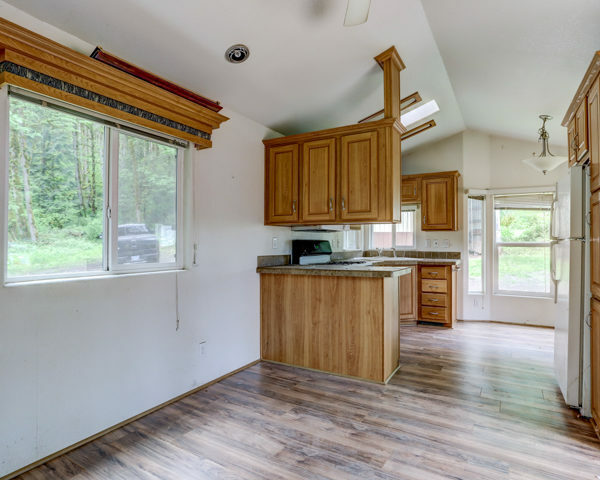 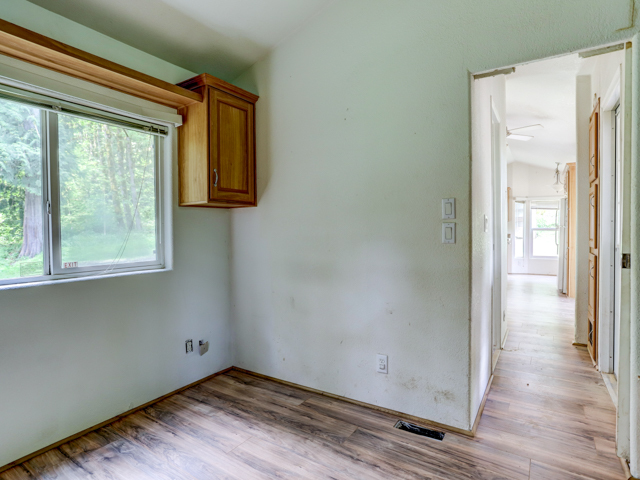 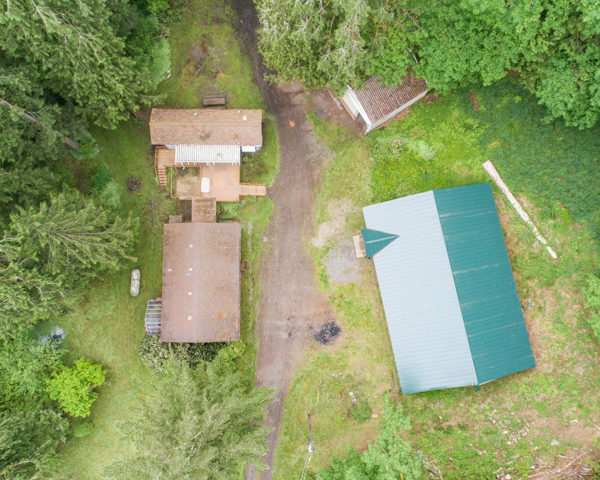 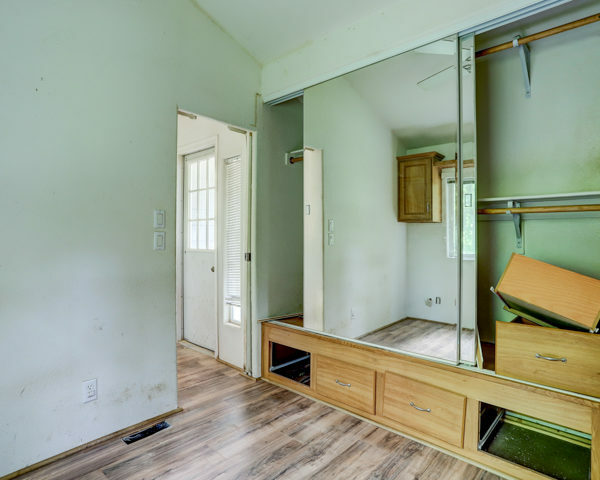 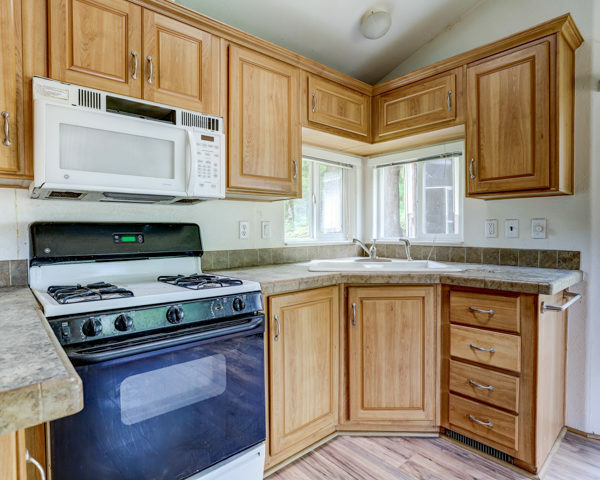 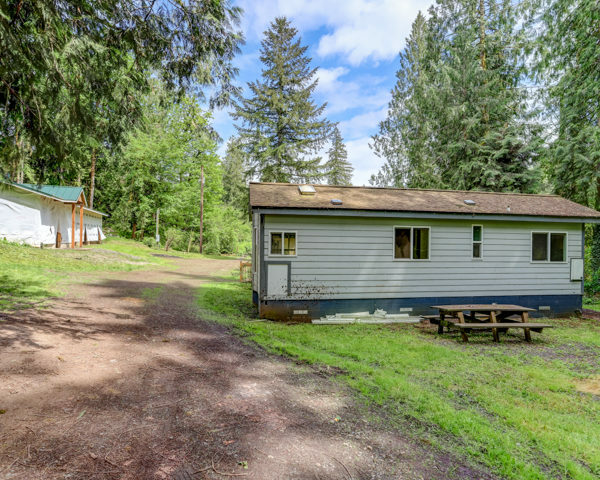 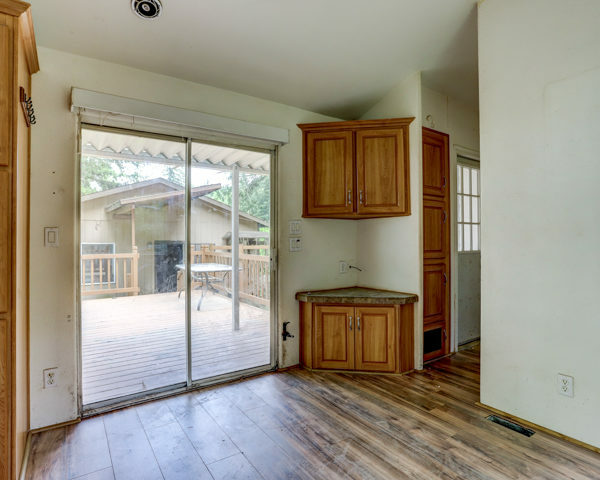 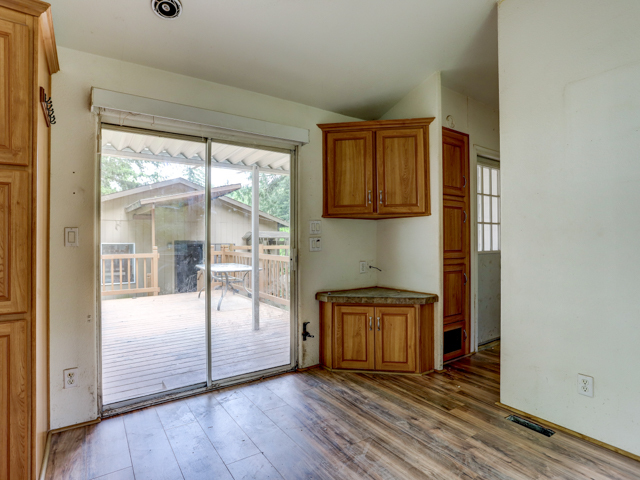 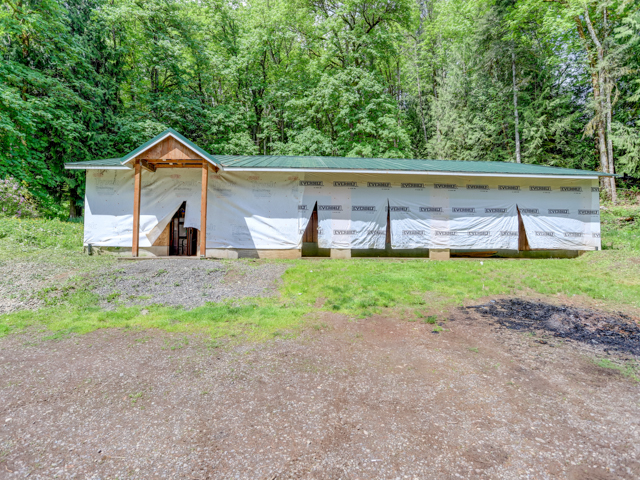 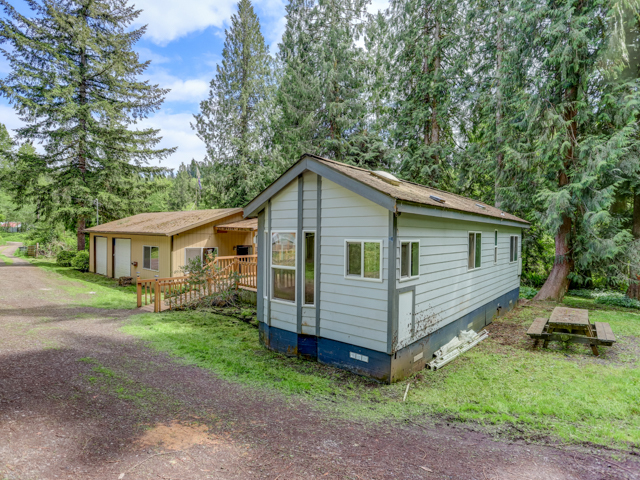 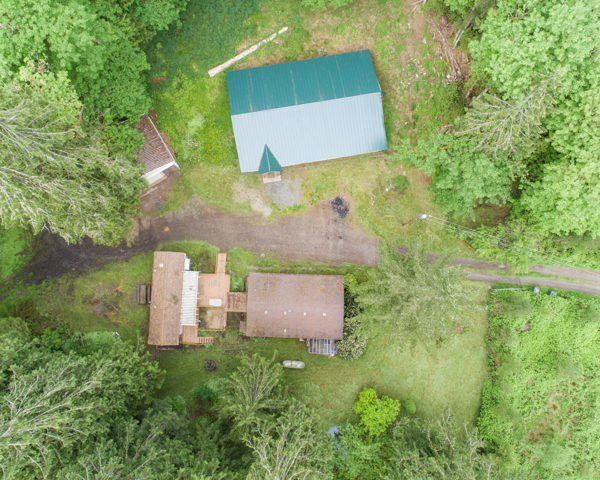 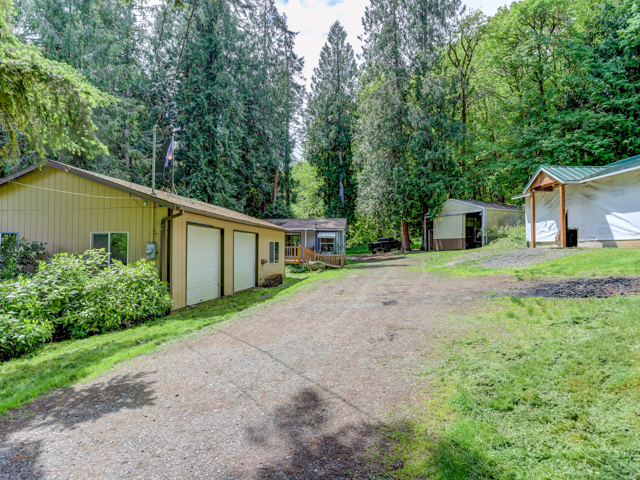 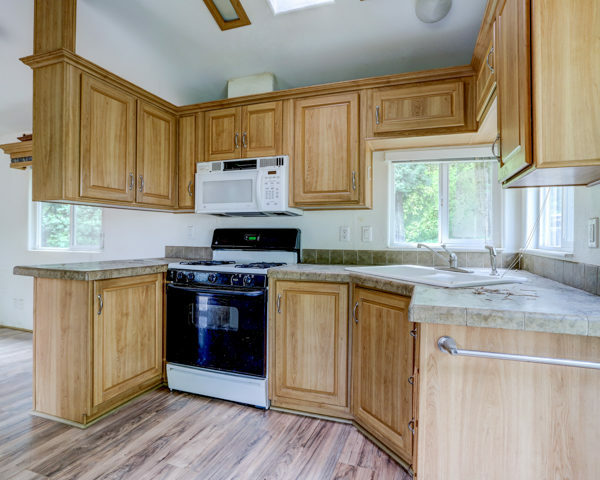 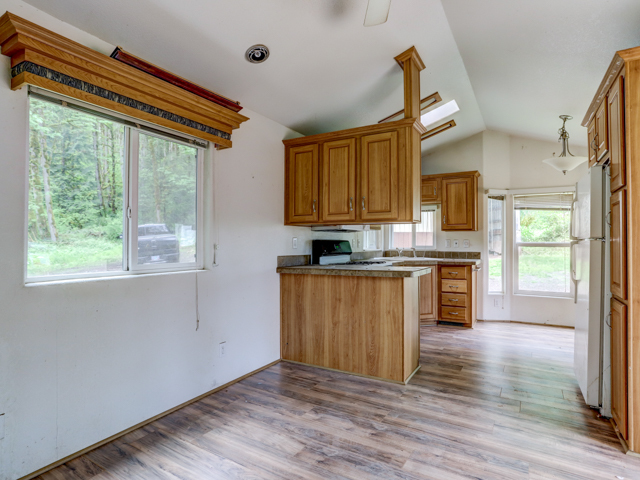 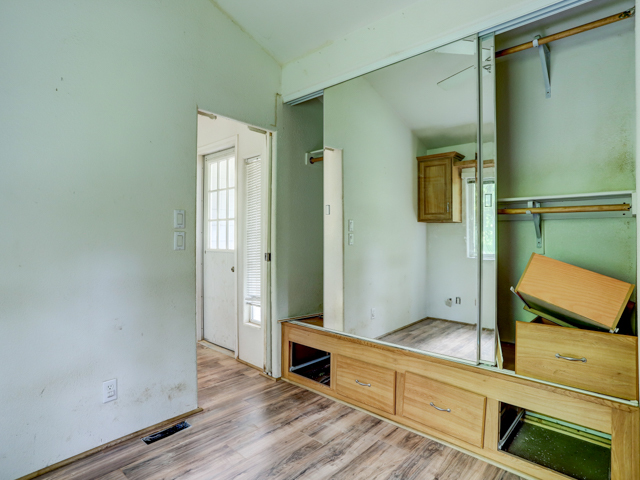 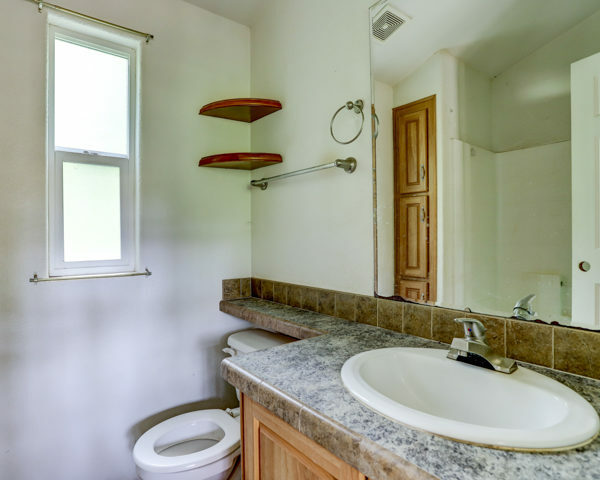 Ten secluded, idyllic acres with partially completed 1 to 3BR one-level home to finish and customize. 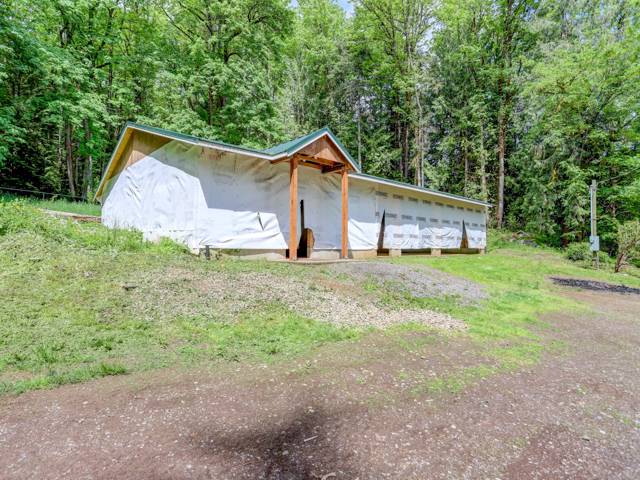 Plans and permits in place with county. 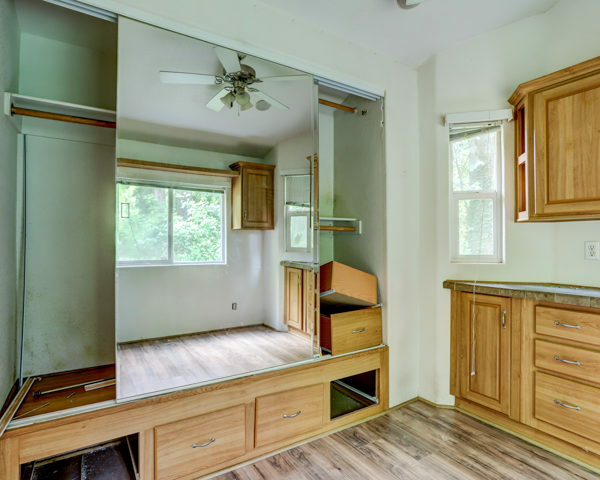 Newer park model home included as-is. 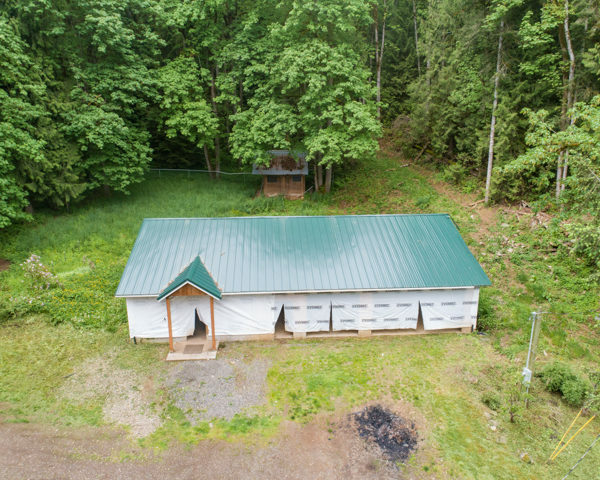 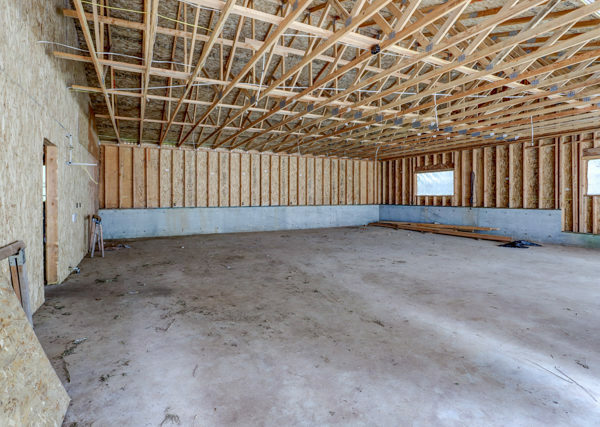 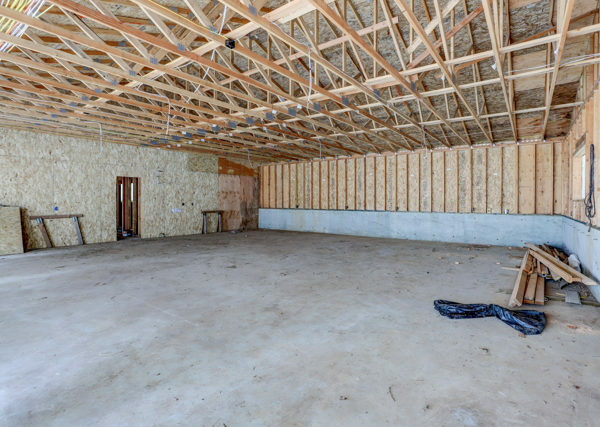 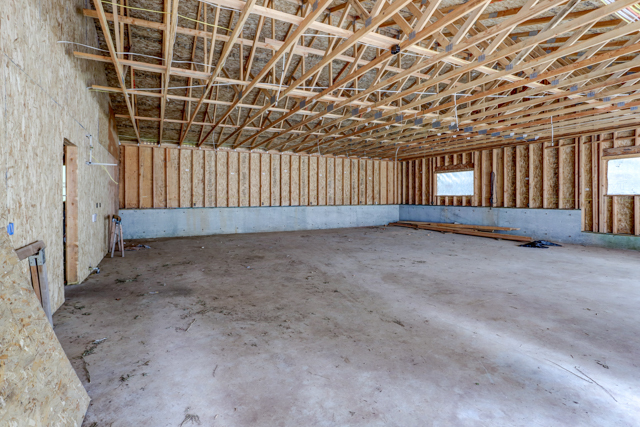 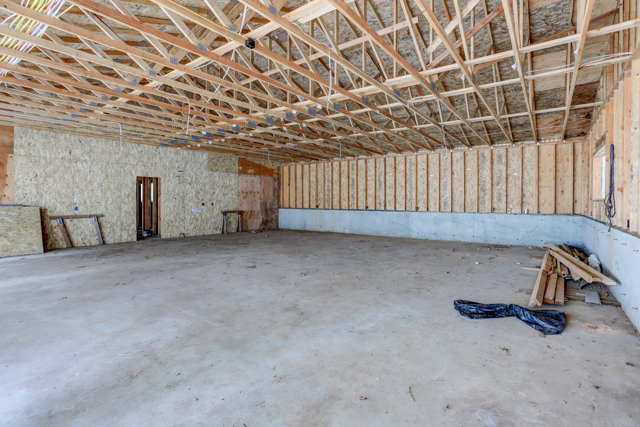 Property also includes pole barn, well pump house and shop/garage. 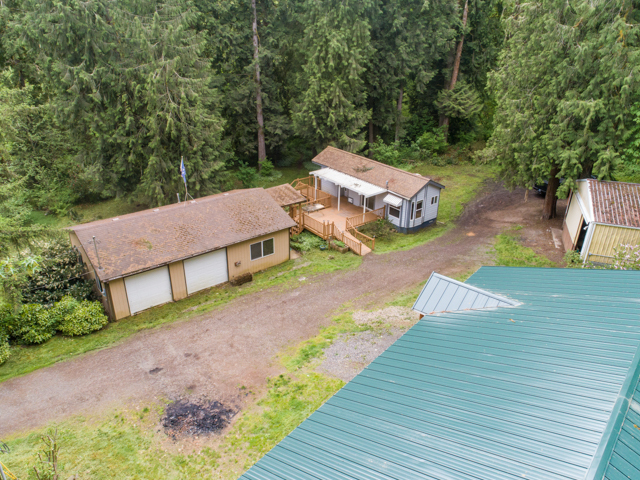 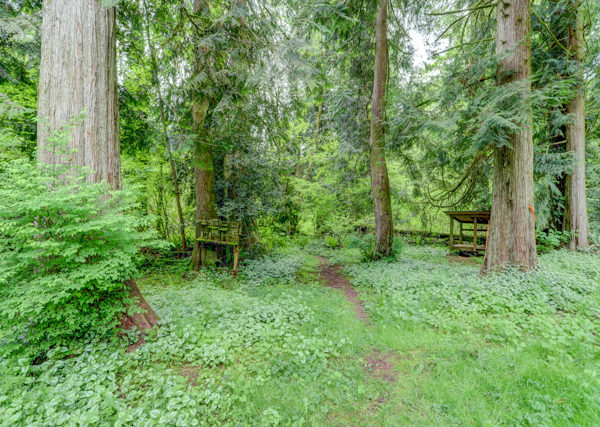 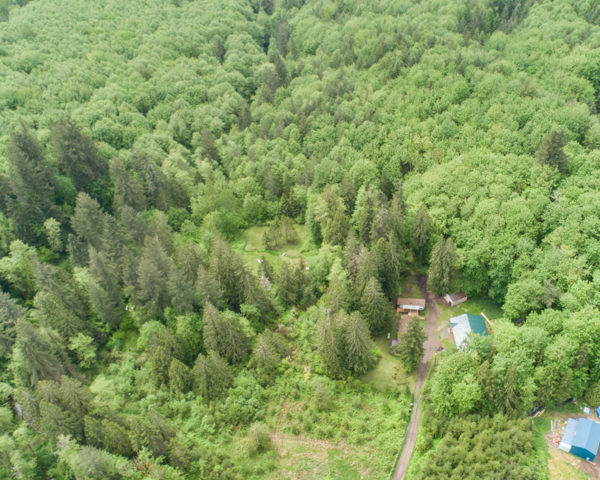 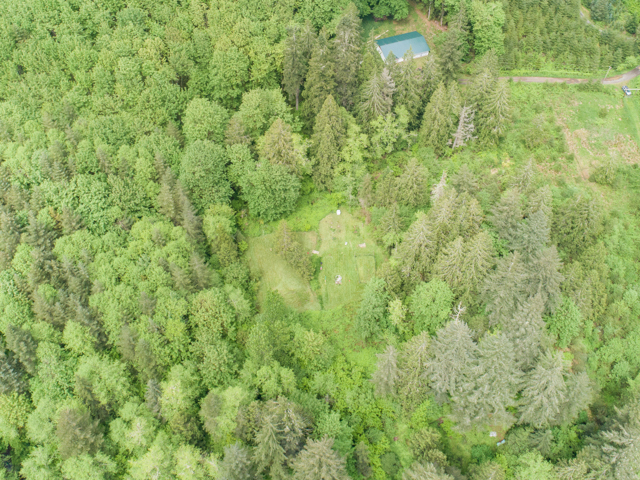 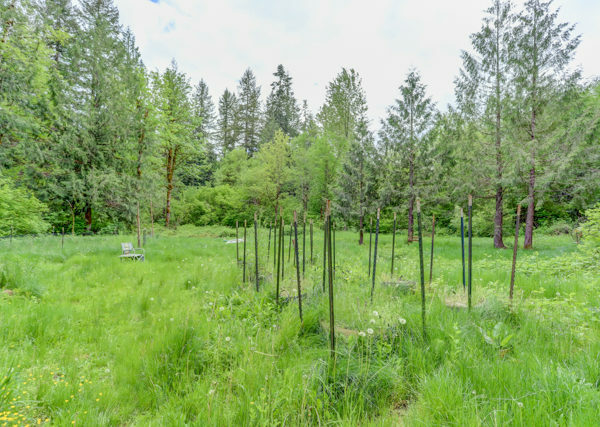 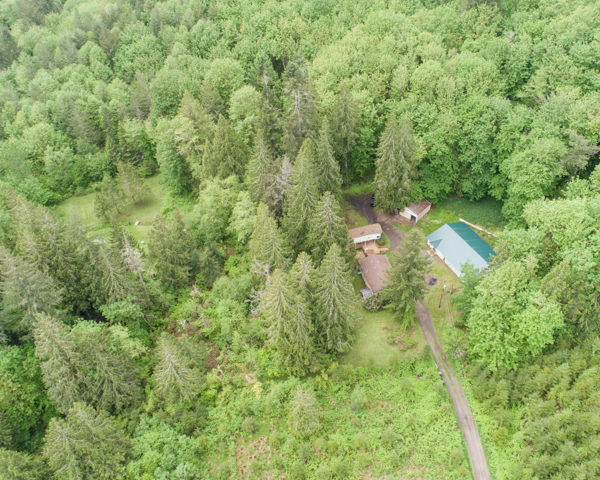 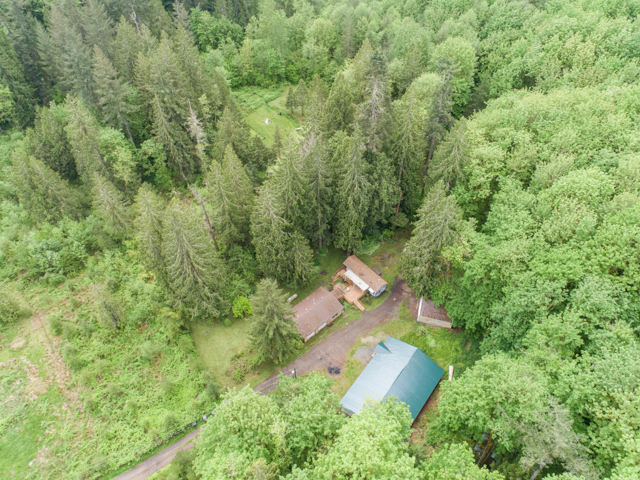 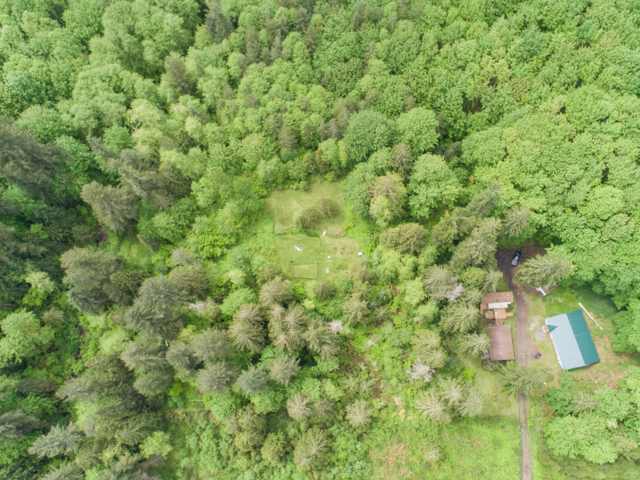 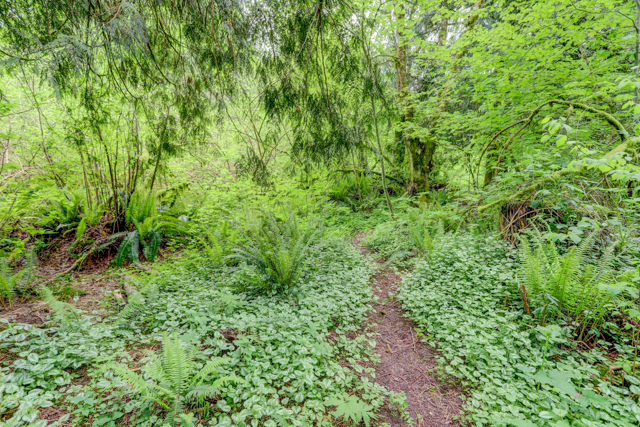 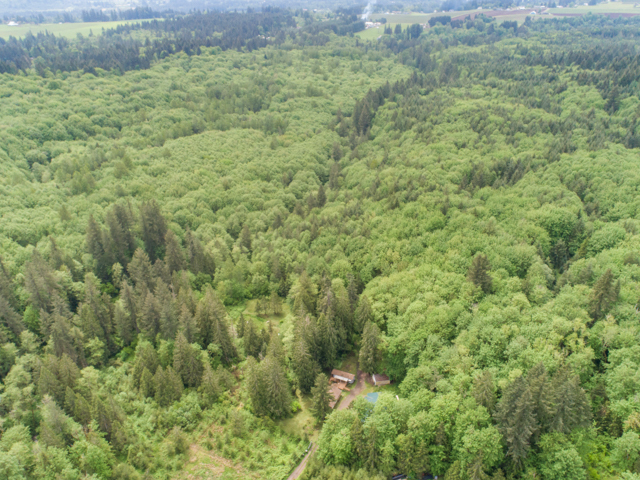 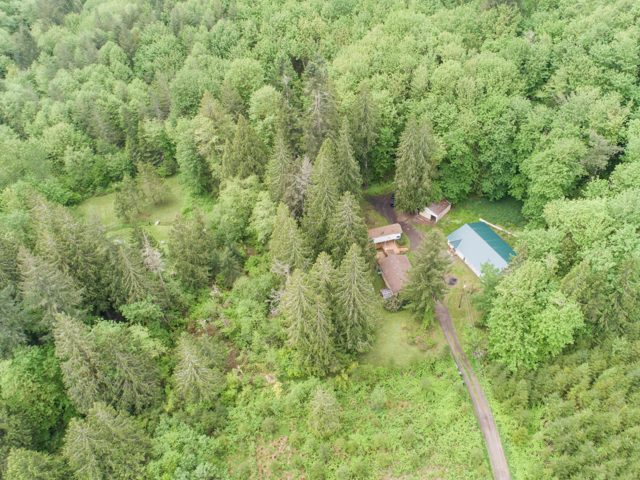 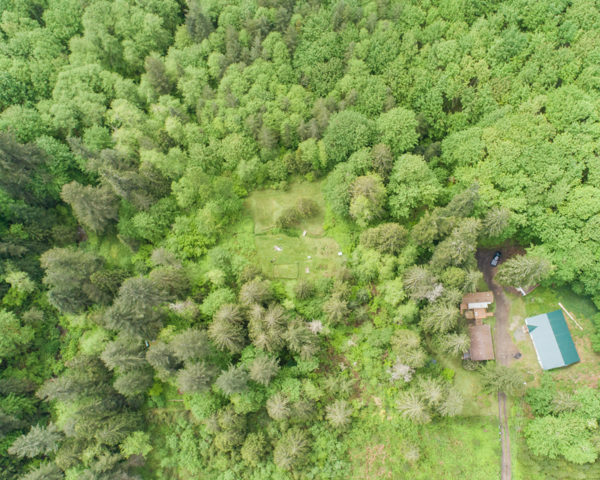 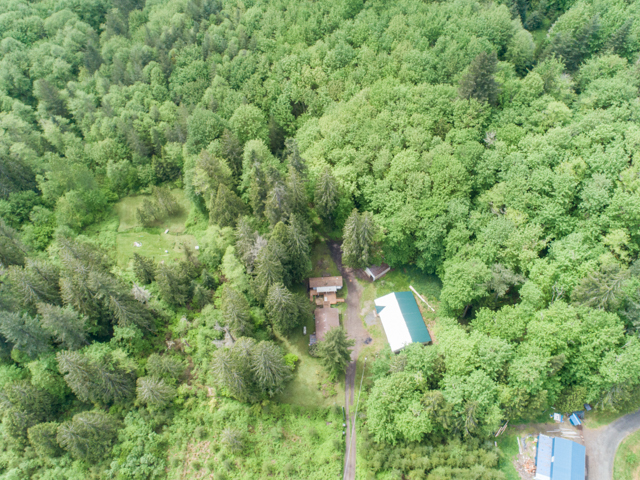 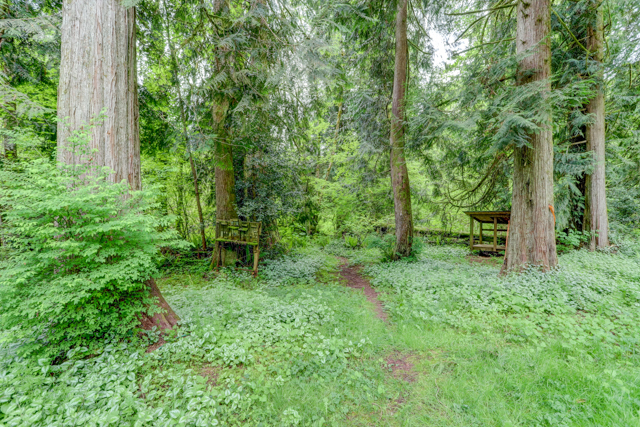 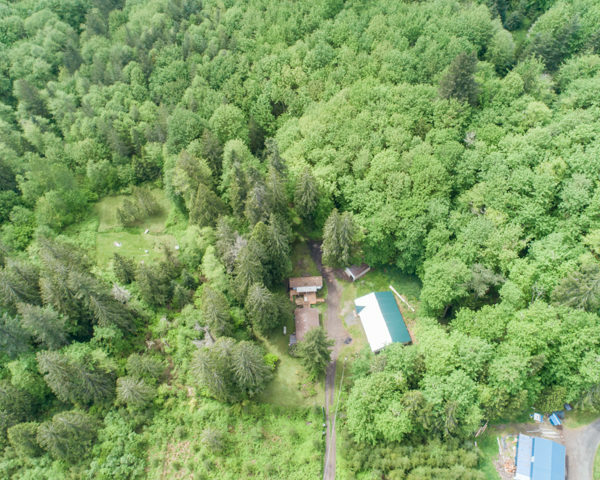 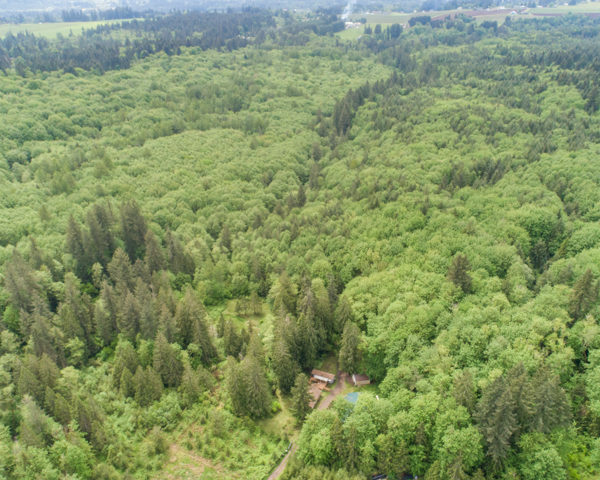 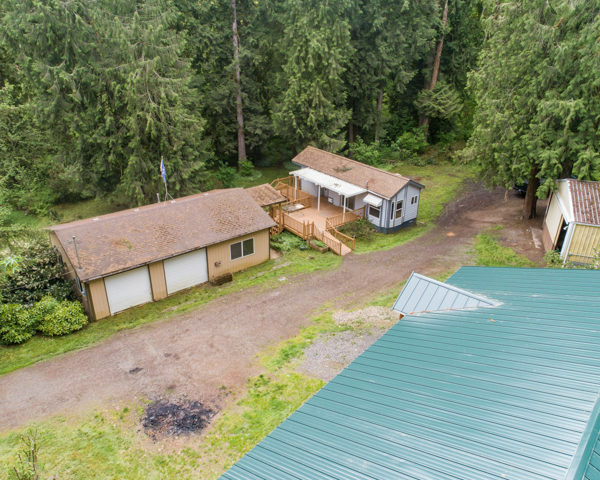 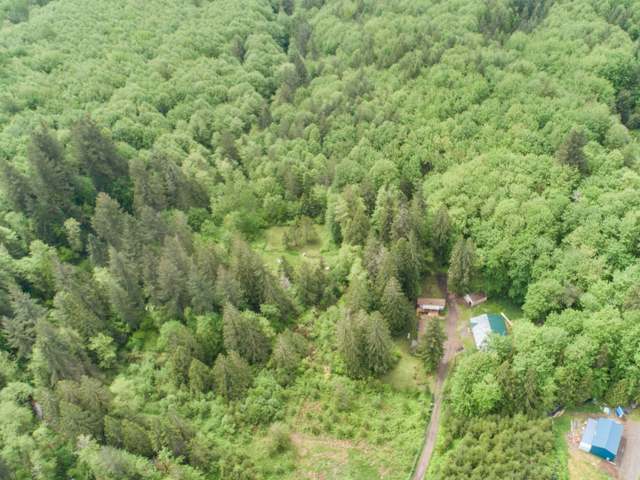 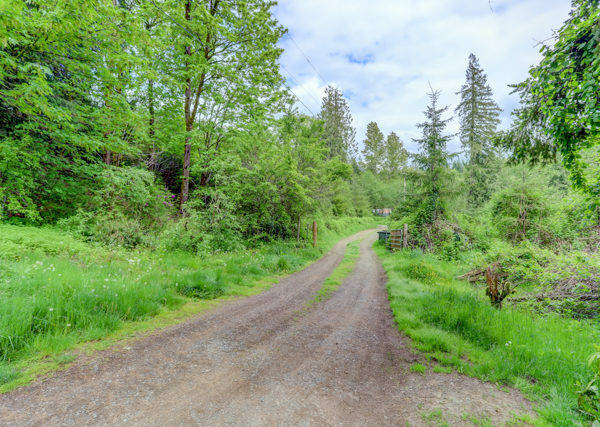 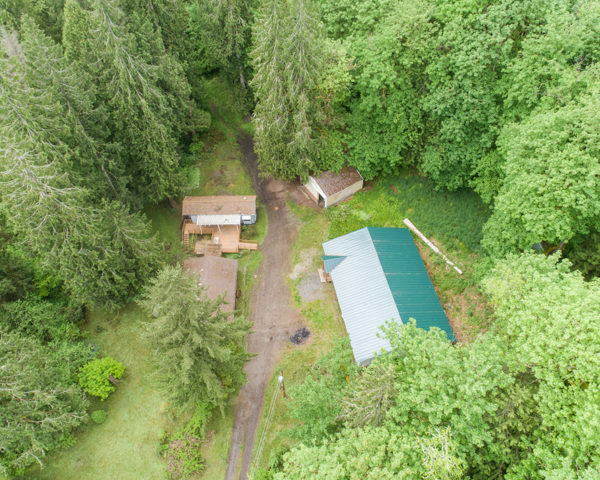 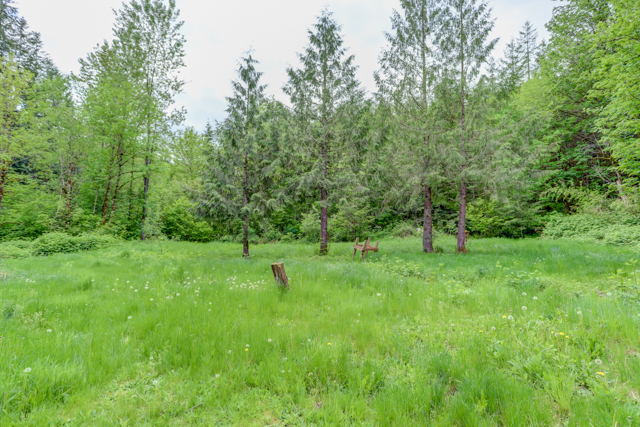 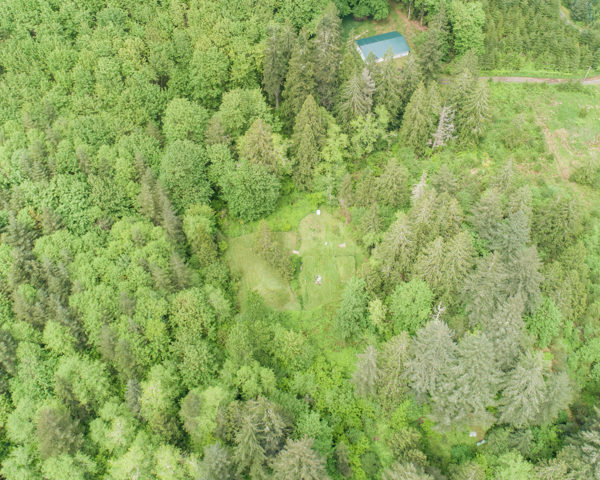 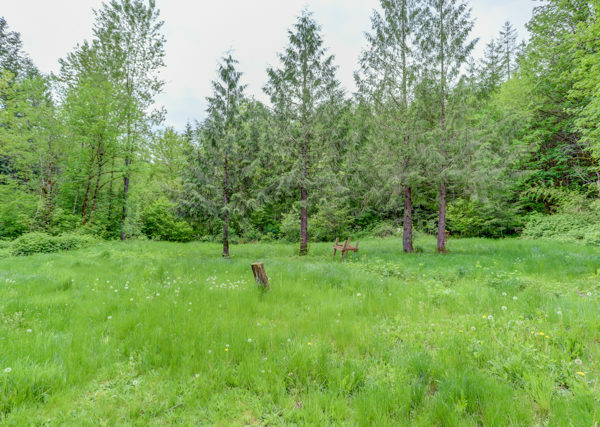 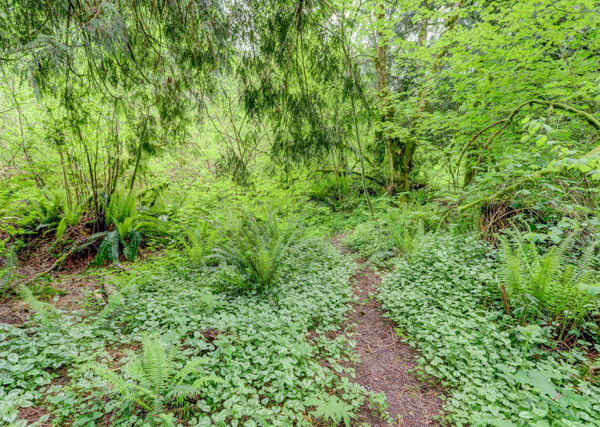 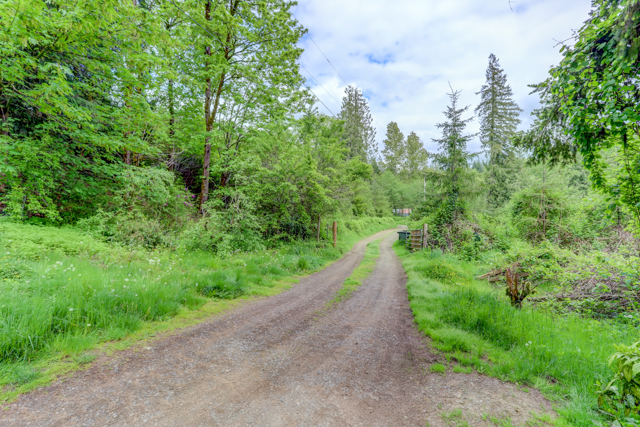 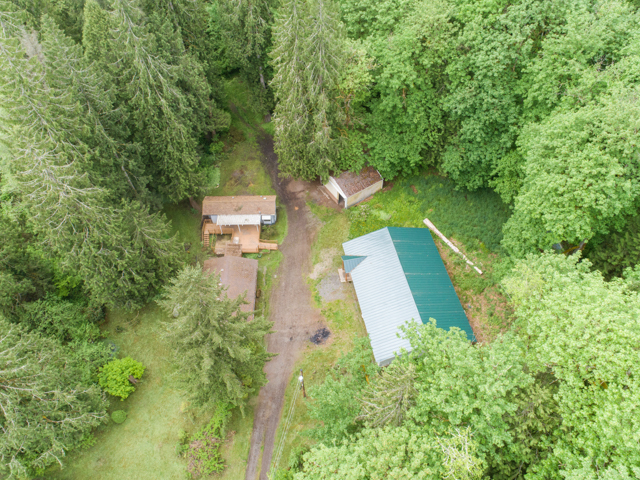 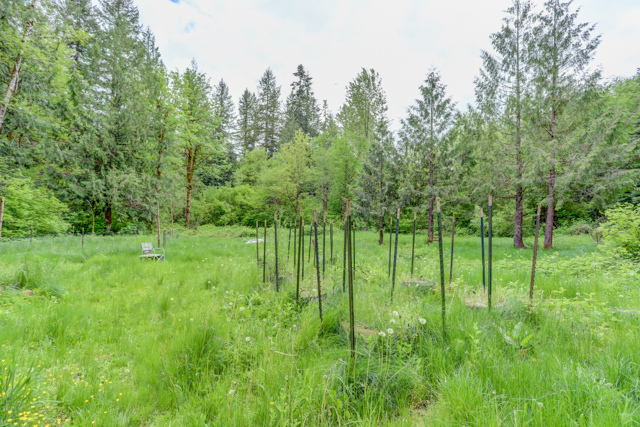 Several acres cleared, super private setting with tall conifers and creek running on west side. 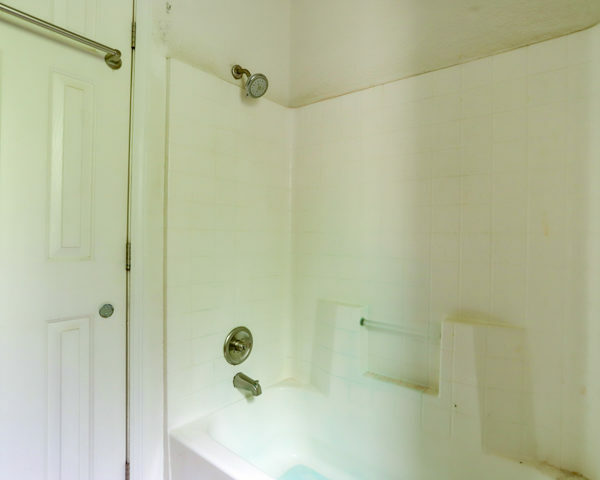 Buyer to verify potential uses. 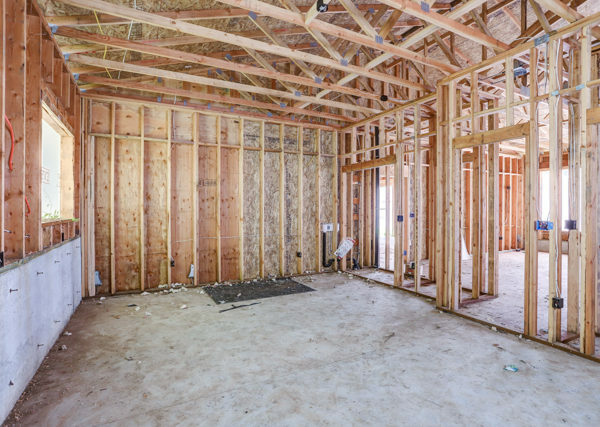 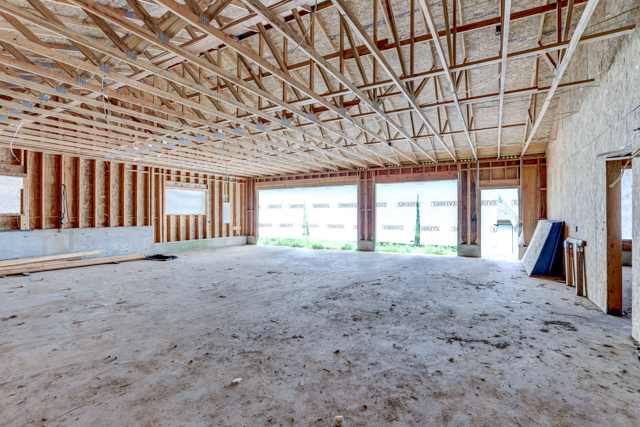 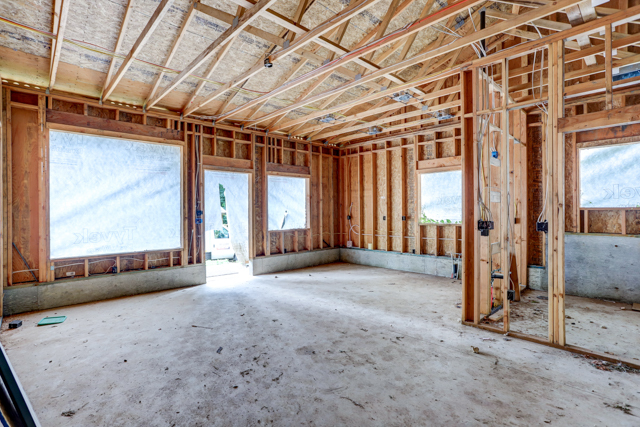 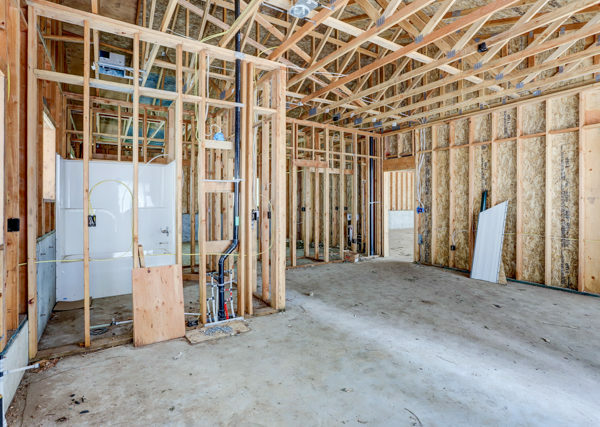 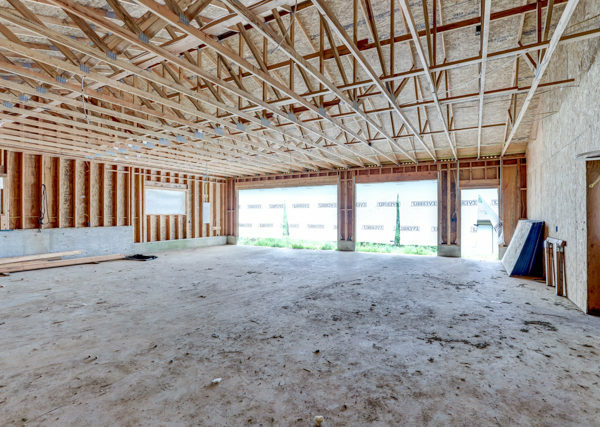 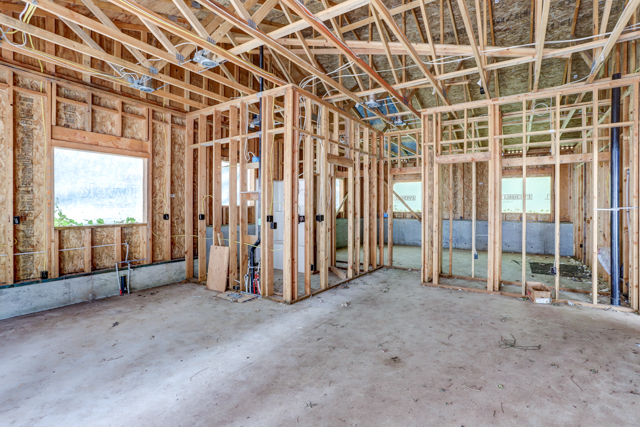 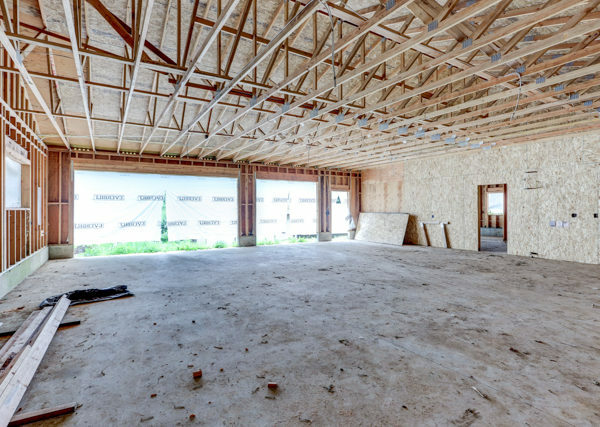 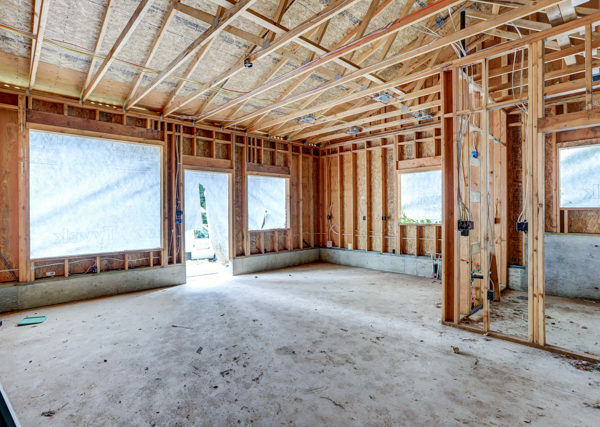 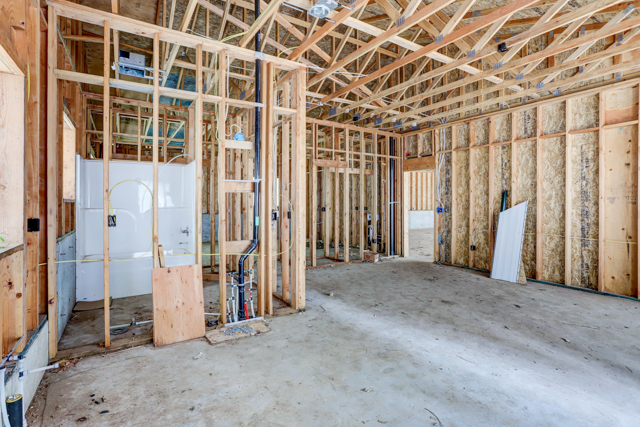 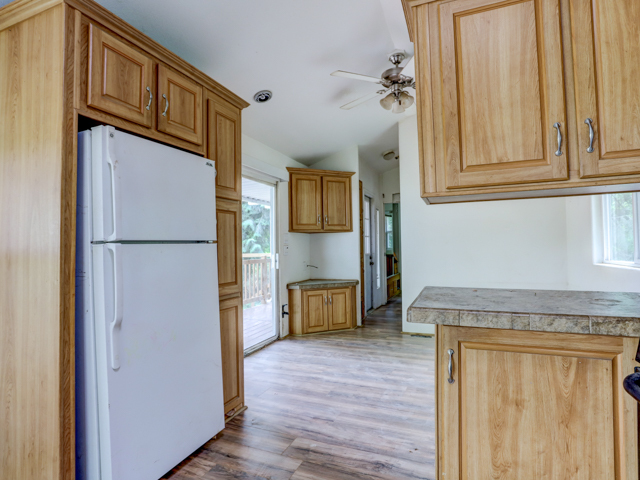 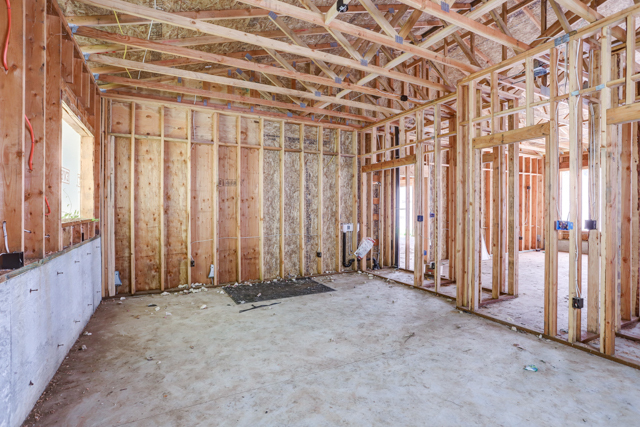 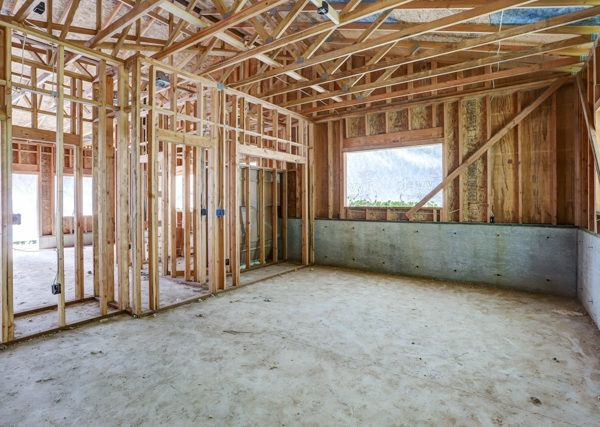 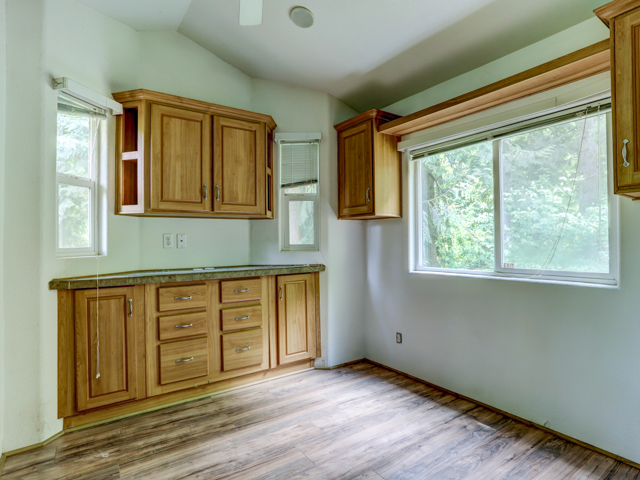 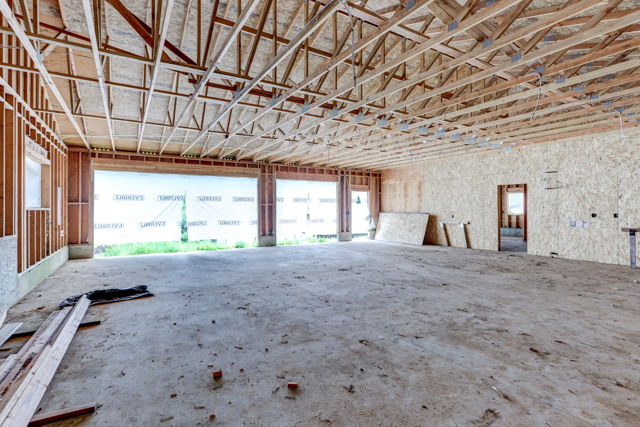 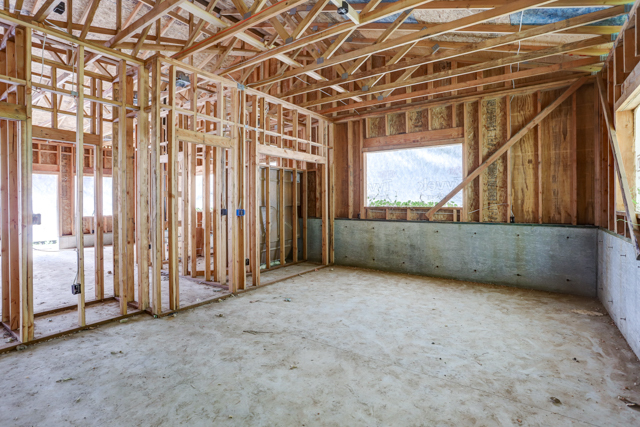 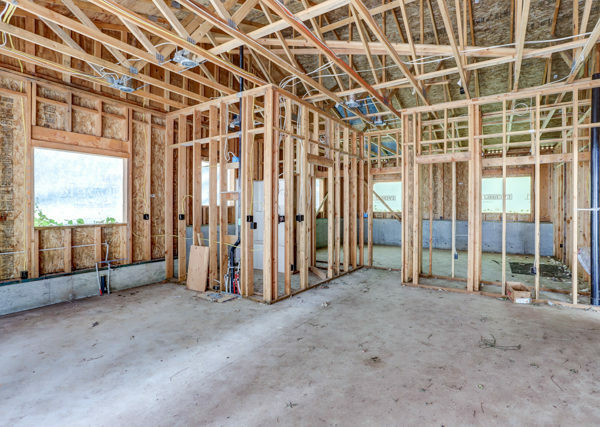 New construction financing available.